Want more happiness in your life? Wondering where to find happiness? Let’s look at some Bible verses about happiness that provide incredible insight for our continual pursuit of happiness. We’ll talk about the key to happiness, where we can find happiness, and how these Bible verses about joy provide incredible insight for anyone on the pursuit of happiness. 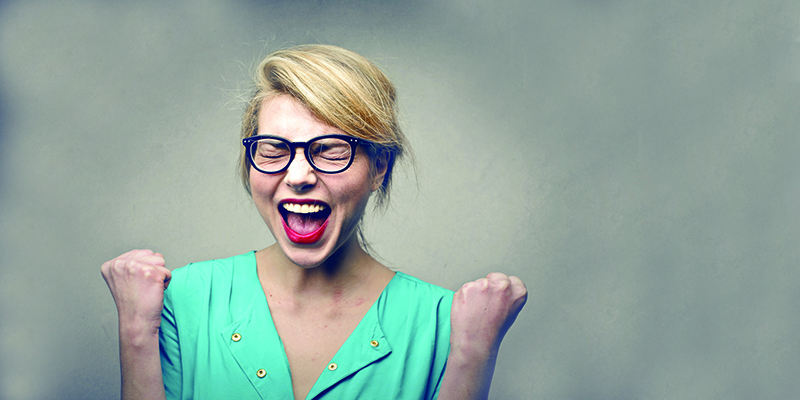 Ready to get more happy in your life? Let’s discover what the Bible says about happiness! “Life, liberty and the pursuit of happiness.” This well-known phrase from the Declaration of Independence is one example of how our culture elevates the importance of finding authentic happiness in life. Whether we call America our home or not, we’re taught from the earliest ages that we are supposed to be happy. In fact, our modern culture, most believe that happiness—at least, happiness defined by feeling good at all times—is an innate right for all people. Social media, television, movies and popular culture bombard us with the message that true happiness comes from finding what feels good. And we’re taught that if life doesn’t feel good, something is wrong. We’re taught that the path to finding happiness is found in what brings us pleasure. And we’re taught that pleasure is individual—that what makes you happy might not make me happy. But what if I told you there’s is a clear path on how to find happiness? That God has given us distinct ways to find happiness—a lasting happiness that doesn’t go away when momentary pleasure ends? It’s a true happiness that sustains us during our deepest sorrows and our biggest trials. It’s authentic happiness. And it’s available to anyone who is willing to go on the amazing pursuit of happiness journey. Because, you see, happiness is not a destination but happiness is a journey–a gift we get to unwrap daily. Happiness is a state of mind that is a true gift of God. And God has designed us to discover authentic happiness it one day at a time even as we face difficult trials. P.S. I want to help you discover God’s beautiful plan for happiness in your life with this incredible Bible study about joy and happiness. It shares 30 bible verses about happiness and joy that are instrumental to understanding what authentic happiness looks like. It’s perfect introduction to how the Bible defines happiness (and God’s plan for us to discover authentic happiness in our lives). If you’re discouraged by your circumstances and you want to know HOW to find a happier life, this is the perfect Bible study for you! How Can We Find True Happiness in Life? On the surface, it seems that money, status and relationships are the secret to happiness. Modern culture seems to shout this from the rooftops, and we as humans are wired to find pleasure in these things. That’s why it’s no secret that we idolize and even deify those who are rich and famous. They seem to “have it all”. But do they? We hear tragic stories of the rich and famous everyday—those people who have been blessed with unlimited physical resources and great social influence—who are caught up in adultery, alcoholism, drugs or even criminal acts like embezzlement. Solomon, one of the ancient kings of Israel was one of the most powerful and richest men to ever live. Ever. And yet, he wrote an entire book in the Old Testament (the book of Ecclesiates) that shares his thoughts on the meaninglessness of life. Clearly, true happiness doesn’t come in having more money or more power. So then, where does true happiness come from? Is the Meaning of Happiness Found in Identifying the “Science of Happiness”? Did you know that our culture is so obsessed with finding happiness that there is an annual poll taken that ranks which countries have the highest “happiness index”? According to this report, in 2018, Finland was top of the list of happiest countries (the runners up, in subsequent order, were Norway, Denmark, Iceland and Switzerland). FYI–the United States was 18th, dropping down four spots from 2017. But can we boil down the pursuit of happiness to a list of specific characteristics and then study them? Surprisingly, yes. I would agree that true happiness can be found some specific, universal truths. But instead of trying to figure out in our own human wisdom what those might be, why don’t we go to the source of all life, joy and happiness—God himself? Just like he creates us with the ability to appreciate beauty, He creates each of us with the desire to find happiness. And thankfully, he also gives us specific principles for finding that joy and happiness. These secrets to happiness are found in the Bible, and we not only can study these bible verses about joy but, as we live according to these happiness guidelines, our lives become a scientific experiment in themselves. In essence, we prove God’s path to authentic happiness to be true by the evidence in our own lives. P.S. 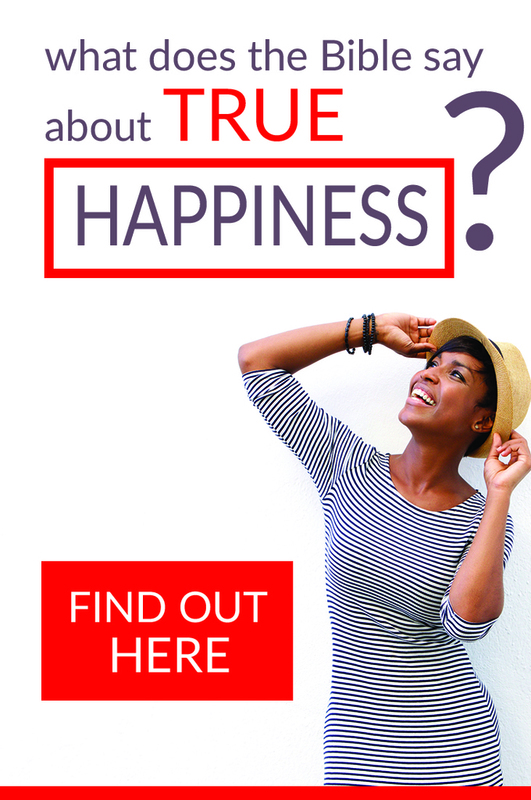 Ready to learn more about how to find true happiness? Don’t miss the Joy Full 5Rs Bible Study™ Journal. This life-changing study is the perfect next step! What About Finding Authentic Happiness Within? Isn’t authentic happiness something we can just find within ourselves? In a nutshell, no. Well, at least not lasting, true happiness. If it’s true that our ultimate goal is to find our own version of happiness, doesn’t it make sense that we should just spend our lives meeting every single one of our hedonistic desires? What kind of a world would that be? Not a very happy one. Think about this from a logical standpoint. When people make this statement that “happiness is found within” they forget one important truth: We are all born with an innate selfish desire to please ourselves and to think of ourselves first. Perhaps you say, “No, people are intrinsically good.” But if that were the case, then why do we not have to teach our kids to be selfish? Why do we spend so much time as parents teaching them to be kind and to think of the needs of others? Let’s say that I’m truly happy when I abuse animals (yes, there are sickos out there who are like that). Or when I start fires. Or when I do whatever it takes to get ahead in life, including stealing, betraying a friend or even physically hurting others. Are we OK with those paths to happiness? True, there’s nothing wrong with finding pleasure in little things (like the tasty Starbucks drink I’m currently consuming). Or in finding joy in a talent or skill we’ve been blessed with. Believe it or not, God wants us to find pleasure in the ordinary parts of our life. He is the author of sunsets, of rich, magnificent forests and of all ordered beauty. But He makes a distinction between what brings true happiness and what just feels good. And sometimes what may “feel good” to us in the moment according to our emotions may actually hurt us in the long run. God has not only created each of us, but, like the owner’s manual on a car, He has set up specific guidelines about how life best runs and we find those in His great love letter to us (the Bible). Therefore, when we follow God’s owner’s manual (the Bible), we will discover “peak performance” in the same way that a car does when we follow the owner’s manual. That’s why God’s good rules for us serve not only as a boundaries to keep us safe but to show us the path to authentic happiness. God gives us a specific, universal outline to happiness (spoiler alert: it’s found in knowing Him in a real, personal way and in living out His purpose for our lives). In a minute, we’ll look at bible verses on happiness that share more about that. What About Finding Authentic Happiness in Making Others Happy? Great! You were wired by God to serve others and to find pleasure in that (and we’ll talk about that too in a minute). In fact, I’d argue that God designs us to feel happy in order to awakens us to His greater plan for our ultimate happiness. It’s true that we get great pleasure in helping others, and that we are blessed in a deep, lasting way when we give unconditionally, serve anonymously and, for example, do random acts of kindness. This is more evidence that authentic happiness is outside of ourselves and is thus a spiritual act that doesn’t come from the pleasure of this world. But again, finding happiness in making others happy isn’t THE ultimate destination of true happiness. It’s simply one facet of authentic happiness that God wants to share with us. There really is so much more to God’s secrets to happiness! Let’s take a look now at Bible verses about happiness and God’s plan for you to discover authentic happiness. What Does the Bible Say About Finding Happiness? But these are only 5 verses about happiness! There are literally hundreds of Bible verses about happiness. If you love these happiness Bible verses, I’d love to introduce you to 25 more Bible verses about happiness and joy! More than that, I’d love to help you discover how to study happiness Bible verses and learn how to hear God speaking to you specifically about how to find joy and happiness in your life right now (no matter your circumstances). Remember that Bible study about happiness and joy that I told you about? 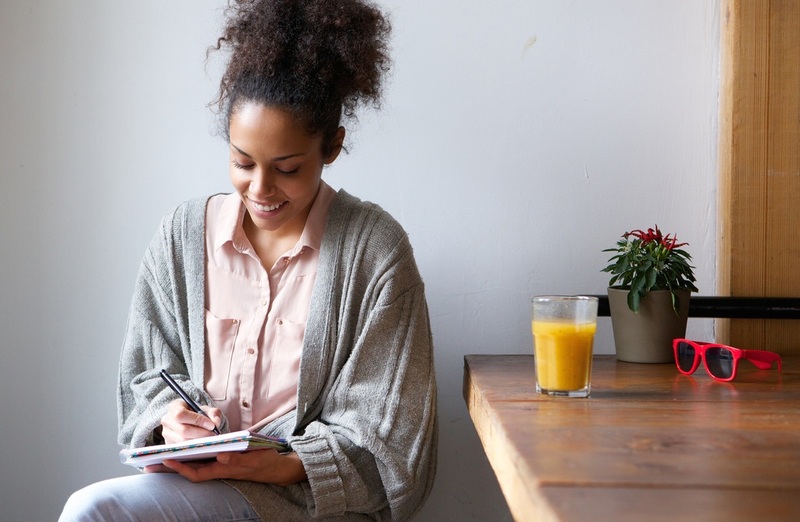 It really is the perfect way to learn what the Bible says about happiness and to learn how to apply Bible verses about happiness to your life with a proven, step-by-step Bible study method known as the 5Rs Bible study method. When it comes down to it, we spend our lives trying to find happiness. But what if finding out that the secrets to happiness are not found in things, experiences, or even relationships was part of our quest for true happiness? What if God has surrounded us with so many wonderful early pleasures so that we can experience a glimpse of what true happiness looks like, but doesn’t allow those earthly pleasures to fully satisfy in order to convince us to seek Him above all things? What if our pursuit of happiness is one way for God to awaken us to our need for more in life? This is why I believe that so many of us “have it all” (a decent life with our basic needs met) but are still searching for more. Happiness always feels out of reach, and we can’t understand why. If you feel this way, recognize this as God’s amazing call to you to discover true, authentic happiness! But I have to tell you… if you want to truly experience happiness, then you can’t just read this post and click away. You have to take action. You have incorporate these truths into your heart and make them real in your life. I encourage you to learn more about true joy and happiness in the amazing 6-week Joy Full 5Rs Bible Study Journal. This daily Bible study on joy and happiness is designed to take less than 10 minutes a day, but can radically transform your entire life and introduce you to the real happiness that God has for you! Still not convinced? Why not give it a try… for FREE? 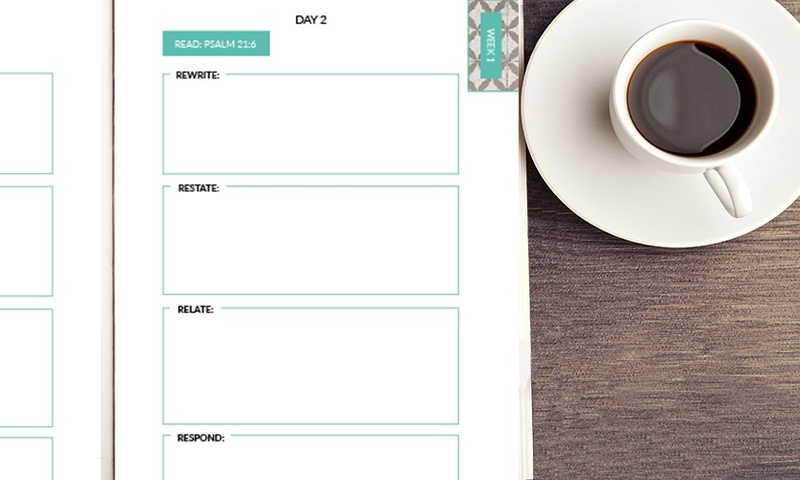 Yes, you can try the first week of the Joy Full 5Rs Bible Study™ Journal for FREE! John 10:10 says that Jesus came so that we could have a rich, purposeful life (which includes a life of authentic joy). Friend, God designed you to desire true happiness! He put that desire in your heart, and He wants to show you the keys to happiness. Don’t go one more day without learning more about God’s beautiful plan to show you the path to joyful, authentically happy life! 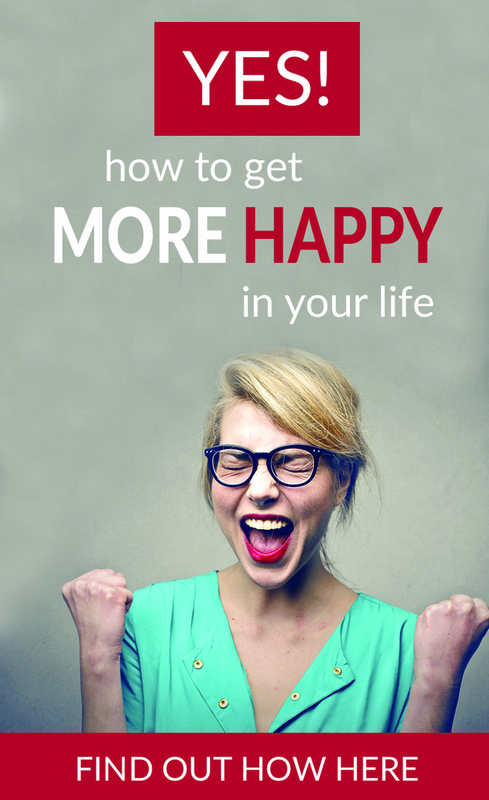 Get started today on learning how to find authentic happiness—right now, right where you are–through this awesome Bible study about happiness!